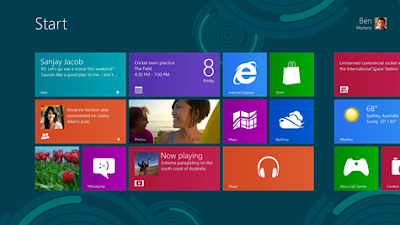 From windows 8 developer preview to consumer preview and now release preview they are changing step by step.But the center of attraction of Windows 8 is Metro User Interface or UI.Metro UI just awesome and many people will agree with me.It just not provide you to use different types of apps but it also gives a new experience.As all the apps are floating like tiles.And some of them are live tiles as it will provide latest update on weather , news etc.And you can easily update these apps . For example if you want know your local weather then open the weather apps and search your city and set it.This Metro Live tile will use your internet connection and give you latest update on weather. You can also use some metro live tiles for email or Facebook , but for these type of metro live tiles you have to config.Though is not easy but anyone can do it.You will be connected to your friend ,family via these metro live apps or tiles.From LinkedIn to twitter ,Facebook and you favorite live messenger you can make yourself connected to these service. So if you are using windows 8 then must turn on or enable this new generation live tiles.